Of these, Green Building Store’s MVHR Design team strongly prefers rigid steel ducting to other forms of ducting for MVHR systems. The rigid spiral wound steel ducting favoured by our MVHR design team is often removed from specifications at the ‘value engineering’ stage to be replaced with cheaper plastic ducting. This has happened with numerous projects we have worked on, something we find deeply frustrating and generally a false economy. If you were going to value engineer to save money on an MVHR system, we would argue that it should be the MVHR unit itself which is possible to change further down the line if needed. To have to replace the ducting after installation would be very problematic, you’d have to rip everything out, including many of your ceilings! Flexible ducting may have the same internal cross sectional area as rigid ducting when installed correctly and pulled tight, however if the ducting is not pulled tight it will concertina up and the cross sectional area will be reduced. When bent around corners the internal diameter will also reduce, this leads to higher air velocities and therefore higher air pressure loss. Doubling the air velocity quadruples the pressure loss. Higher air velocities can create more noise and higher pressure loss means higher energy input. Flexible ducting is also very prone to being squashed and twisted during installation at “pinch” points which makes the ducts smaller still. Dust can build up inside flexible ducting on the spiral ribbing. The dust could eventually lead to a further reduced effective duct size. Flexible ducting, with smaller ducts and a ribbed internal surface, can create air turbulence which can lead to both break out noise from the ducts and noise through the air valves. Plastic ducting, both flexible and semi rigid, is not always “anti-static” meaning that as air passes over the duct, it charges it electrically, which then causes dust to stick to inside surface of the ducts and also statically charges the air. 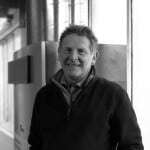 “..metal ductwork in a ventilation system is favourable over plastic, even though the product is more expensive to buy, Because the replacement cost is so high, the much longer lifetime of the metal ductwork produces lower whole-life costs”. Moreover a CIBSE maintenance guide (CIBSE GUIDE M: Maintenance Engineering & Management), cited in the Encraft report, found that plastic or flexible ducting has a typical lifetime of 15 years, whereas steel ductwork had a typical lifetime of 40 years. 15 years is not very long, especially in a domestic situation, where you’re going to want a system that would last as long as possible. Installation issues with flexible ducting can mean that airtightness seals are not as quality controlled as the rigid ducting, which is airtight by design. This can lead to air leakage though the flexible ducting systems and air not being delivered reliably to where it is needed. With semi rigid ducting there is a much greater risk of poor installation, for example making bends too tight, which can result in leakage at the joints. Flexible ducting can ‘flop’ or sag over time, whereas rigid ducting will never do this! As the flexible and semi-rigid ducting is ribbed on its outer surface then pulling it through webbed joists is not always easy. If running quite a way through the building then several operatives may be required in order to thread it through the webbing and around corners. It easily snags on sharp corners leading to a high risk of damage and hence air leaks. There tends to be a far wider range of fittings available for steel ducting than rigid plastic with bends available at 15, 30, 45, 60 and 90 degree. The bends are also more “swept” than the rigid plastic equivalent. 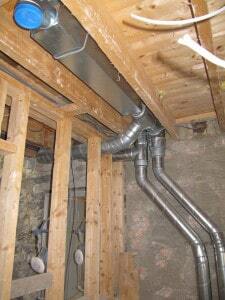 There are situations where semi-rigid ducting may be the only option. 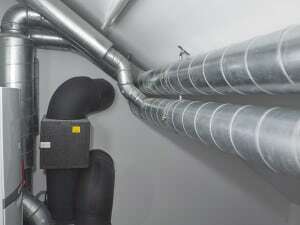 Semi-rigid ducting has the advantages of a degree of flexibility making it easier to install than steel and it has got its uses in tight, tricky retrofit projects where it would be difficult to find space for the rigid steel ducting. Semi-rigid ducting is very different to flexible duct in that it is more resistant to squashing and has a smooth internal surface. For those situations, our MVHR Design Service can design systems using semi-rigid ducting, being extra careful to model for acoustics. For the reasons above, we would never specify flexible or rigid plastic ducting systems in any circumstances. 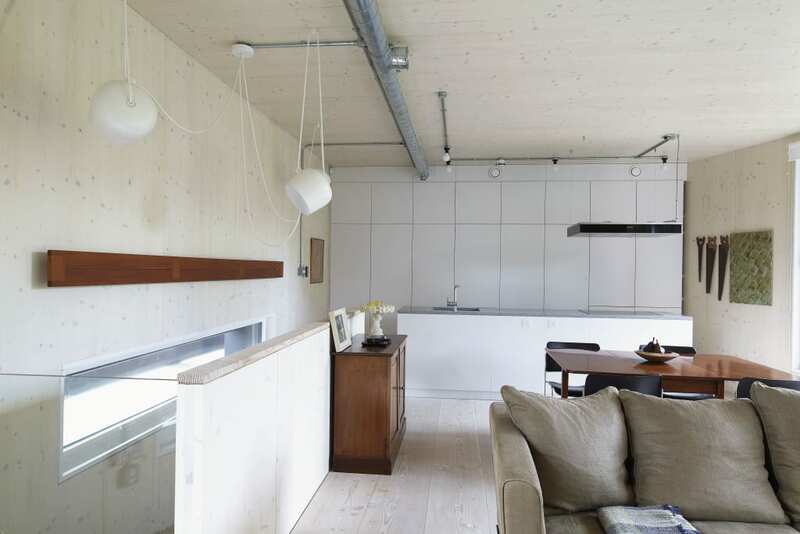 In some retrofit projects, and occasionally on new build, semi-rigid systems may be more suitable, where there is restricted or difficult space. However, our default specification is ALWAYS the rigid spiral wound steel ducting, which gives the robust, airtight and durable specification we would use in our own homes.